Who doesn’t appreciate a slice or even a whole pie of brick-oven pizza? 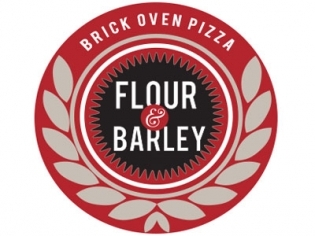 Fresh, gooey mozzarella and your choice of house-made toppings will entice you to stop at Flour & Barley. Once you are there, you will be further impressed with the craft beer program and handcrafted cocktails. In addition to the requisite pizza, there are appetizers, salads and entrees. The inside dining room has an industrial feel reminiscent of dining under the bleachers at the ballpark. There is an outside patio also, which is a perfect place to enjoy the view of the High Roller. There is a to-go window for slices and frozen cocktails that you can enjoy on your walk to the High Roller.